Home / Why create an artificial ovary? The transplantation of organs is nowadays a relatively common occurrence in medical practice. However, an increasing demand has created a long waiting list for donor tissues and organs, and generally, supply cannot meet this demand. Some of this need is met through biomedical technologies that allow for certain organs to be replaced and/or controlled by specific devices. In some cases (for example, the heart) these devices are so effective that a person who completely lost organ function, due to illness or injury, can, at least partially, recover. Despite the successes of these approaches, further research is needed to overcome lingering challenges (such as organ availability and tissue rejection) to improve patient outcomes. Current research is investigating new alternatives that could avoid possible complications related to both organ transplantations and specific devices: (bio)artificial organs. These new alternatives are created in the laboratory using bioengineering and regenerative medicine strategies for tissue and organ reconstruction/replacement. While these strategies vary widely, they typically involve the use of a ‘scaffold’ material that provides support for the delivery of cells and/or for tissue growth and development (Costa et al., 2017). Such scaffolds are constructed in the laboratory using three-dimensional (3-D) methodologies (for example, synthetic materials or bioprinters) or are based on organ decellularization procedures, in which the cells are removed from within a natural organ, leaving the natural scaffold behind (Dzobo et al., 2018). Another recent innovation includes the “organs-on-a-chip”—a device that recreates the functions of a real organ but at microscale (Sosa-Hernández et al., 2018). Finally, 3-D in vitro culture can create organoids, which carry out development processes that result in a structure and self-organization identical to natural organs (Artegiani et al., 2018). 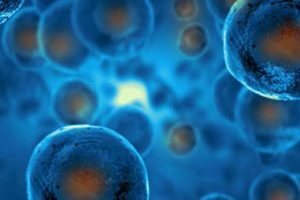 These new alternatives could enable significant advances in organ transplantation, restoration or regeneration. These new approaches are pioneered through bioengineering, a promising and growing multidisciplinary field of investigation in regenerative medicine that is poised to transform translational medicine and discovery. Bioengineering is applicable in reproductive medicine, where several pathologies leading to reproductive dysfunction cannot be treated or are insufficiently treatable (Campo et al., 2017). 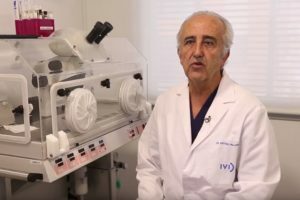 For example, uterine bioengineering was successfully applied to create ex vivo new vaginal tissues (neovaginal constructs) and implant them into patients suffering vaginal aplasia (Raya-Rivera et al., 2014). However, despite these important advances, there remains a group of women who are diagnosed with pathologies related to or directly affecting the uterus or the ovaries and, in consequence, the women’s fertility. Such pathologies include absolute uterine factor infertility (AUFI), ovarian cancer, polycystic ovary syndrome, endometriosis, and premature ovarian failure, among others (Hewlett and Mahalingaiah, 2015; Qin et al., 2015). Bioengineering the female reproductive tract could offer treatment options for these incurable pathologies, particularly as it relates to rescuing fertility. 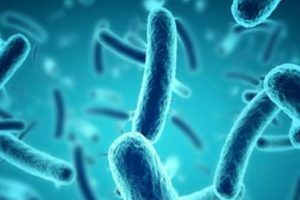 Techniques like 3-D printing and organ engineering are a promising avenue for the creation of bio-artificial ovaries (Amorim et al., 2016). Several research teams have been developing transplantable artificial ovaries, either using polymers as a matrix, or using scaffolds derived from decellularized natural organs. 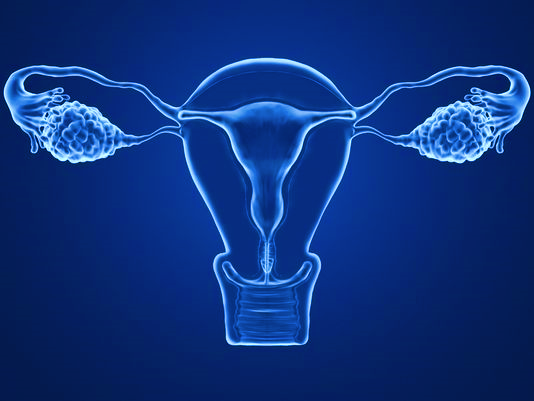 The main goal of this research is to mimic the natural ovarian microenvironment. Innovations in organs-on-a-chip (“tissue papers”) and organoids under 3-D in vitro culture have also been pioneered in the reproductive field (Jakus et al., 2017; Campo et al., 2017). Yet, despite these great advances, further investigation is necessary to achieve competent transplantable (bio)scaffolds that will be successful in patients. One main goal is to enable women with infertility to produce mature oocytes. In the last decade, in vitro folliculogenesis has gone through exponential improvements. Several biomedical investigations have done so by culturing follicles in a 3-D environment. However, the biomaterials used for this are nonspecific hydrogels (alginate, collagen, or fibrin) that present some limitations, such as not enabling direct interaction with encapsulated cells. For this, biological extracellular matrix (ECM) hydrogels have been derived from virtually all tissues and organs. These unique hydrogels are created from decellularized organs and have been used successfully for regenerative purposes because they provide a specific 3-D environment similar to the native origin. The latest trend in ovarian bioengineering has been based on the use of decellularized ECM hydrogels, providing for the first time the initial steps to support in vitro folliculogenesis (Laronda et al., 2015; Liu et al., 2017). The ovarian decellularization protocols are based on the use of a detergent, sodium dodecyl sulfate (SDS), which causes cells to break apart, or lyse, as is needed to obtain the scaffold; however, this strong detergent introduces some adverse outcomes. In the IVIRMA innovation area, our group has done preliminary testing in ovaries with a different detergent, sodium deoxycholate (SDC), which is generally considered to be less aggressive than the commonly used SDS. Our early results are promising; microscopic examination of SDC-treated ovaries demonstrated the absence of cell nuclei and, as such, indicated the efficient removal of DNA. At the same time, ovarian tissue structure was preserved. Our next objective will be to expand this to an in vitro 3-D platform using the ECM of decellularized ovaries, and to demonstrate its capability to undergo in vitro folliculogenesis, including achieving follicle growth, differentiation, and hormone production. In conclusion, various research studies are making promising gains toward the ultimate goal: to restore ovarian infertility by generating transplantable scaffolds or/and ovarian hydrogels that imitate the ovarian microenvironment and/or achieve in vitro folliculogenesis. Laboratory Manager IVI Foundation and Endometrial Stem cells & Bioengineering Research Group Leader. Amorim CA, Shikanov A. The artificial ovary: current status and future perspectives. Future Oncol. 2016 Oct;12(20):2323-32. Artegiani B, Clevers H. Use and application of 3D-organoid technology. Hum Mol Genet. 2018 Aug 1;27(R2):R99-R107. Costa A, Naranjo JD, Londono R, Badylak SF. Biologic Scaffolds. Cold Spring Harb Perspect Med. 2017 Sep 1;7(9). Dzobo K, Thomford NE, Senthebane DA, Shipanga H, Rowe A, Dandara C, Pillay M, Motaung KSCM. Advances in Regenerative Medicine and Tissue Engineering: Innovation and Transformation of Medicine. Stem Cells Int. 2018 Jul 30;2018:2495848. Hewlett M, Mahalingaiah S. Update on primary ovarian insufficiency. Curr Opin Endocrinol Diabetes Obes. 2015 Dec;22(6):483-9. Jakus AE, Laronda MM, Rashedi AS, Robinson CM, Lee C, Jordan SW, Orwig KE, Woodruff TK, Shah RN. “Tissue Papers” from Organ-Specific Decellularized Extracellular Matrices. Adv Funct Mater. 2017 Sep 13;27(3). Liu WY, Lin SG, Zhuo RY, Xie YY, Pan W, Lin XF, Shen FX. Xenogeneic Decellularized Scaffold: A Novel Platform for Ovary Regeneration. Tissue Eng Part C Methods. 2017 Feb;23(2):61-71. Qin Y, Jiao X, Simpson JL, Chen ZJ. Genetics of primary ovarian insufficiency: new developments and opportunities. Hum Reprod Update. 2015 Nov-Dec;21(6):787-808. Raya-Rivera A. M, Esquiliano D, Fierro-Pastrana R, López-Bayghen E, Valencia P, Ordorica-Flores R, Soker S, Yoo J. J, and Atala A. Tissue-engineered autologous vaginal organs in patients: a pilot cohort study. Lancet 384:329–336, 2014. Sosa-Hernández JE, Villalba-Rodríguez AM, Romero-Castillo KD, Aguilar-Aguila-Isaías MA, García-Reyes IE, Hernández-Antonio A, Ahmed I, Sharma A, Parra-Saldívar R, Iqbal HMN. Organs-on-a-Chip Module: A Review from the Development and Applications Perspective. Micromachines (Basel). 2018 Oct 22;9(10).